0 Have your say Nicola Sturgeon has slammed immigration comments made by the Prime Minister in a speech to British business leaders. 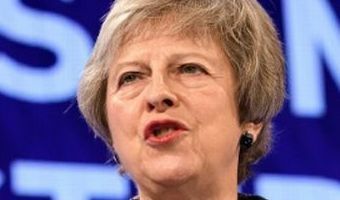 Theresa May was criticised by industry chief over her plans to curb immigration after Brexit as she said the new system would stop EU workers being able to “jump the queue”. The Prime Minister told the CBI’s conference in London the post-Brexit system will be based on skills rather than where migrants come from.